Australian researchers are developing living seawalls and artificial reefs to support native marine life as rapidly growing coastal populations expand beyond shorelines. Every minute, one garbage truck of plastic enters our oceans, choking native ecosystems. Coastal habitats are also being lost to artificial breakwaters, pilings, groynes and seawalls. Harbours and ports are the worst affected areas, with more than 50 per cent of Sydney Harbour’s foreshore being artificial. However, researchers at the Reef Design Lab in Melbourne and the Sydney Institute of Marine Science (SIMS) believe the answer to restoring the health of these coastal ecosystems could lie in specially designed 3D printed tiles and artificial reefs. The two research centres have teamed up with Volvo and Fibercon to create the Living Seawall, an installation of 50 tessellating marine concrete tiles containing patterns that encourage the recolonisation of oysters and other filter-feeders. The concrete is reinforced with recycled plastic to help strengthen the tiles and increase the durability of the concrete. To keep the plastic fibres from reentering the water as microplastics, the fibres are encapsulated in the marine concrete so they have no contact with the surface. “We’re looking at how we can 3D print complex geometries to create rock pools and crevices that will increase oyster colonisation, crabs and fish living on the seawall rather than just having a completely flat seawall,” said Alex Goad, founder and creative director of Reef Design Lab. 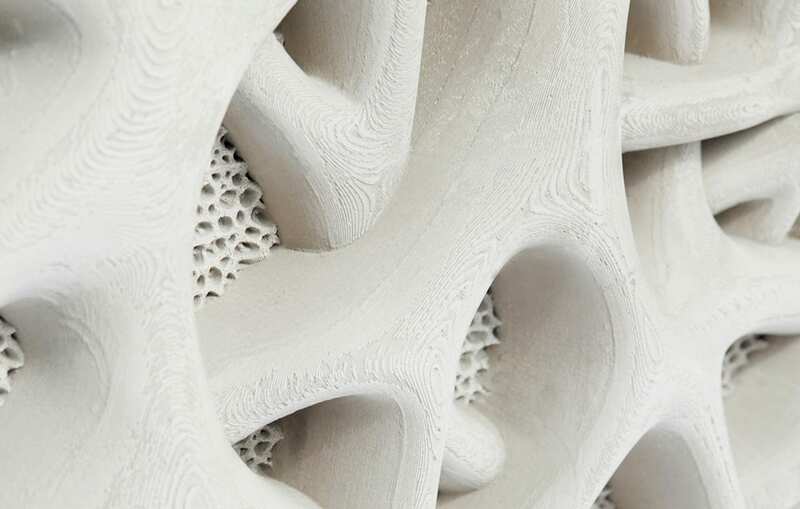 To achieve this, the researchers drew inspiration from the natural environment – including the size and shape of their target organisms and patterns in the natural sandstone – and parametric design to create the most effective and economically viable products. “It’s always a mix between the ideal geometry, what’s going to be cost effective, what’s going to meet the engineering criteria, and what’s going to get government approval. It’s a real balancing act with a bunch of different factors,” Goad said. The work comes off the back of the World Harbours Project, where the Reef Design Lab collaborated with SIMS to explore the distribution and impacts of artificial structures and determine which materials and designs are most effective for ecological engineering in the world’s harbours. Already, SIMS and the Reef Design Lab have had “really positive” results, and Goad explained that “having complex geometry and crevices made a big difference in most cases”. The tiles are expected to stay on the Harbour’s seawall for at least 20 years, with the hope that they could be left there indefinitely. However, this will be dependent on the tiles keeping their structural integrity and their ability to support their ecosystems. Fortunately, Goad explained that if there was a need to swap out the tiles, they would be able to transplant most of the colonised organisms. 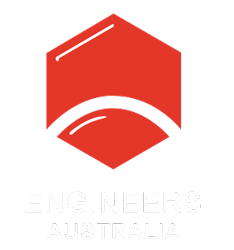 Goad said it’s an exciting time for those interested in eco-engineering – and Australia is a perfect testing ground for many of these efforts. “It’s very exciting for Australia to be leading the way in this. There’s a lot of research that’s looking into eco-engineering structures around the world, but I think Australia’s the perfect place to really push this because the marine environment is so crucial to our way of life,” said Goad, who has won multiple awards for his modular artificial reef structure (MARS) and is currently juggling several international projects. In fact, the day that create spoke to Goad, Reef Design Lab was having their large-scale 3D printed oyster reefs deployed in the North Sea as part of its work for the World Wildlife Fund in the Netherlands. They are also redesigning Goad’s MARS project for use as a coral farm in the Maldives to help sustain reefs as they are increasingly affected by rising temperatures and ocean acidification. “We’re using the MARS structure not so much as a coral restoration device, but more of a farming device because obviously with coral reefs, it doesn’t matter how many artificial reefs you install; if we have more bleaching events, all the coral just dies,” Goad said. Back home in Australia, Reef Design Lab is collaborating with Melbourne University to develop a mangrove planter that will protect the trees – in particular the cold water mangroves around Port Phillip Bay – from ocean swells. The hope is that once the mangroves are established and able to conserve the shoreline independently, they will be able to remove the devices and use them to replant mangrove systems elsewhere.